Open instructions in a printable PDF Click Here! OPEN CALL!! SQUARE FOOT SHOW!! Show duration: November & December. SUBMISSIONS must be received during the month of October and no later than October 25, 2017. You will be notified if your painting or paintings have sold by phone. All artwork not sold may be picked up anytime after January 5, 2018. Cheques will be mailed out after January 10, 2018 or you can pick up your cheque at the gallery. 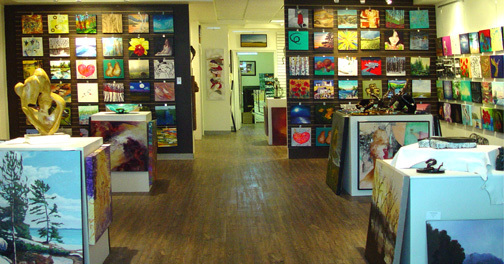 – Canvases are 12″ x 12″ with the thick gallery profile of � 1 .5 inches (gallery size). – Edges must be painted as a continuation of the painting or in a solid colour. – Identify on the back bottom outside of the painting frame with your name, name of the painting and medium. – All paint must be DRY on submission. – Please no pastels, watercolours, anything under glass or framed. – Paintings will be juried and hung at the sole discretion of the gallery. 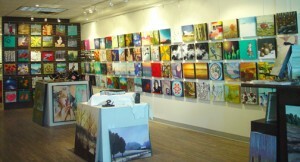 – Artists receive fifty percent of the sale price of $144 when their paintings are sold. – You can submit as many paintings as you want. With any subject matter you choose. 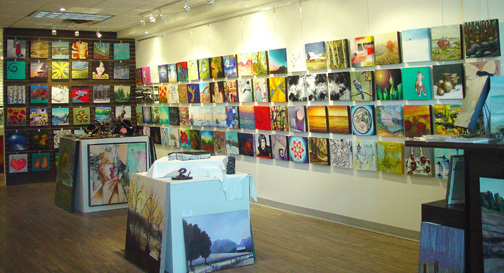 – Each painting must be signed into the gallery, �a Square Foot entry form will be provided on arrival. The entry forms are available at the gallery.